A friend, travelling from Quebec City to the island of Newfoundland for the first time had scheduled a visit. Prior to waiting for the Ferry Service to dock at port in St. Barbe, I decided to take a “Look Back in Time”. Black Duck Cove Seashore Day Park was my first visit. This rest point’s highlight is a collection of miniatures that represent the architecture-styles of rural communities of the past. There are two saltbox homes, slightly modified; a church, schoolhouse, wharf, fishing rooms and lodge. There are beautiful & well-marked walking trails, captivating views of waterways and binoculars to view sights of Labrador. There is a small playground and picnic area for you to stay for a while. However, many travellers would not easily find this place, at it is not well-marked in terms of signage or on any main highway route. If you can, take the time to ask for directions. I’d recommend a fresh coat of paint to the replicas and some minor repairs, unless the organization responsible is going for a more rustic look of the past. 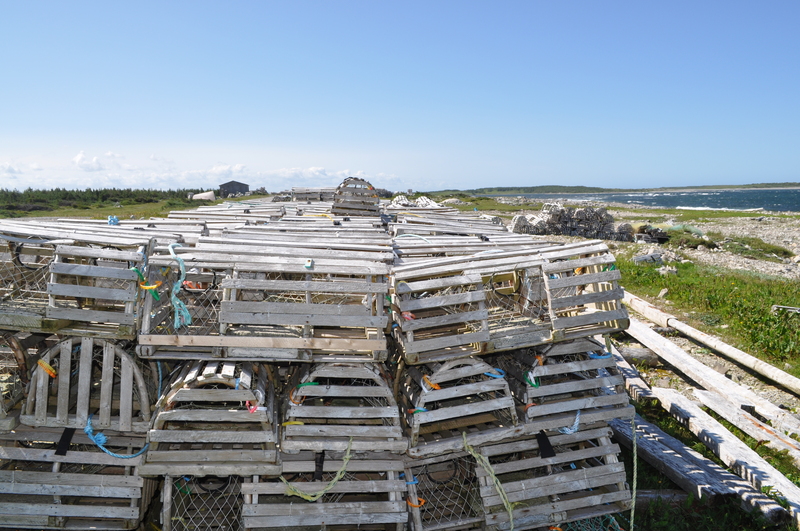 Just moments away, you can see neatly stacked lobster traps, two adjacent graveyards and piles of unpacked wood for winter stoves. These replicas made me realize that the vernacular architecture styles are fading from local communities in the Strait of Belle Isle region. Vernacular architecture is a term that categorizes methods of construction which use locally available resources and traditions to address local needs and circumstances, as defined by Wikipedia. 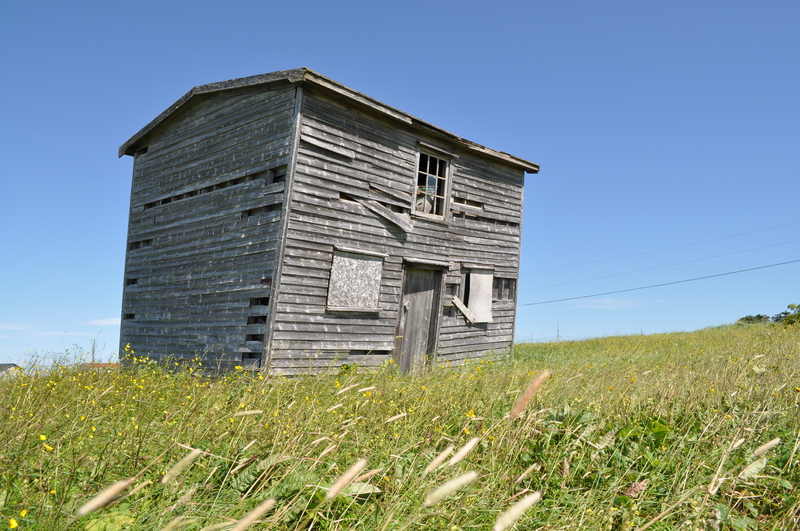 I decided to drive the area in search of the traditional folk house type, found commonly all over Newfoundland & Labrador, which is the Salt Box style. It is named for its shape, which resembled the boxes used for shipping salt to Newfoundland & Labrador and was one of the earliest forms of house construction. 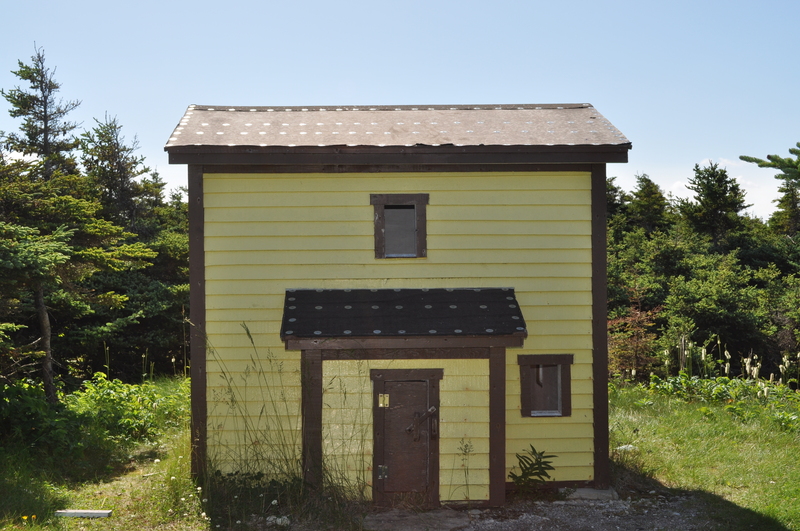 The Salt Box traditionally had a shorter steep roof line in front and a longer steep slope in back. This gave the impression that the house was much larger than it actual size. Talking to residents and elders, they noted that logs were sawed into lumber using a “pit saw”. The simple design of a two-story “salt-box” used simplicity of design and maximized space and limited the amount of resources required. This saltbox home depicts a more modern-style where the rooftop peak is central to the home for even distribution. Today, Live Rural NL sees a more modern home, split-level, bungalow, two-story, pre-fab home, mobile with an array of designs and styles. I’ve suppose we have gone modern, with very few residents living in this traditional home design with bright vibrant colours. Vernacular architecture tends to evolve over time to reflect changes of culture and society. I certainly hope that these homes do not disappear forever entirely in the region. There is much charm in an older traditional home. I had to stop for a moment as the structure to my left continues to tilt to its demise as it lacks an apparent caretaker. The field is quite large as the water it in the background. For this place, we can only stop and “Look Back in Time” at the memories that were made by the people who lived here before us. 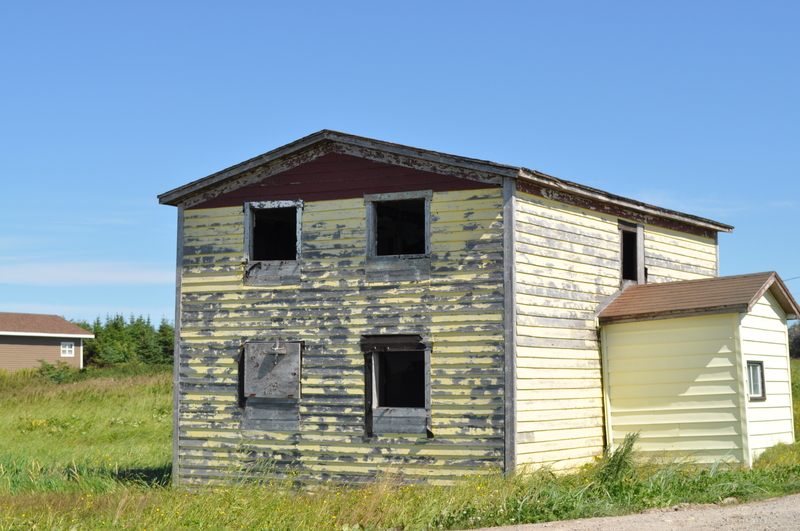 Posted on August 10, 2010, in Art, Heritage, Landscapes/Geography, Tradition and tagged architecture, design, ferry, graveyard, home, house, lobster, Newfoundland, park, Rural, saltbox, seashore, st. barbe, trail, trap, vernacular, walking. Bookmark the permalink. Leave a comment.